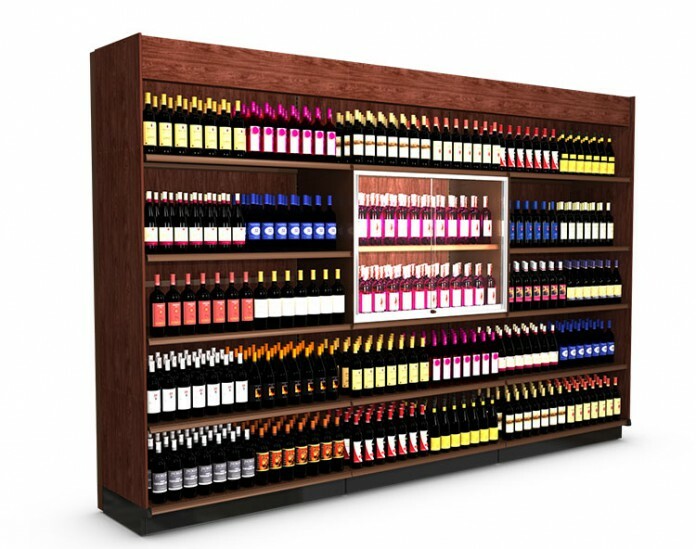 Create a wine focal area within a Wall Section using a standard Glass Door Kit. While the focal area looks built in, it can be added to any existing gondola. Complete the look with a Wood Canopy and Wood End Panels.